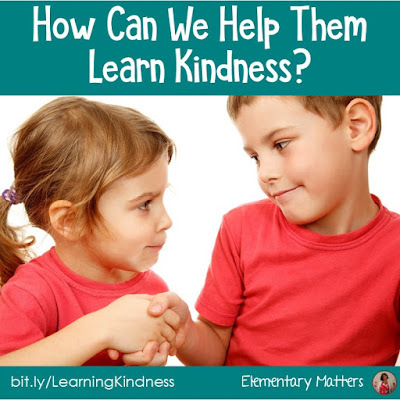 Elementary Matters: How Can We Help Them Learn Kindness? There is a whole lot of hate in our world. 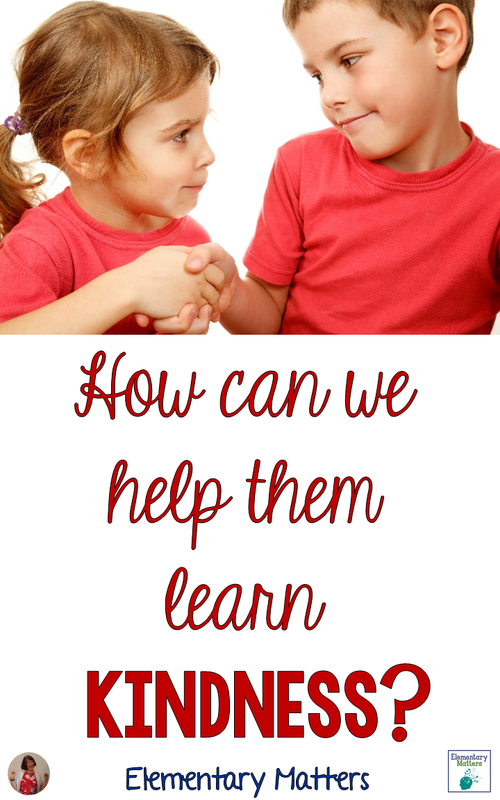 It's very concerning when we work with little ones and we want them to be successful. Although I'm not going to delve into politics, I'm sure you're aware that political changes here in the USA are pretty uncomfortable for many right now, and people are angry. Yes, BOTH sides of the political system are angry, and it's not helping our children. How can we help them learn about kindness? Well, here are three ideas! I have a special softness for Somebody Loves You, Mr. Hatch and The Invisible Boy. Be sure to read the books and let the children have plenty of conversations. 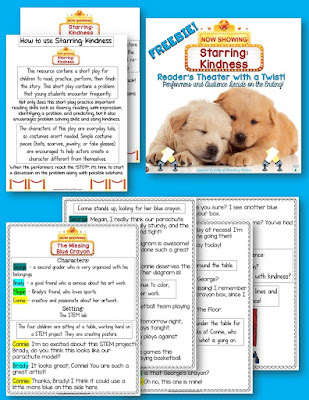 Bring up the topic of kindness and let the children talk about how the characters showed kindness in the stories. We know as educators that children are more likely to do what they see than what they're told to do. That means we need to let them see us showing respect and kindness to them, and the people they see us interact with. Let them see you performing little acts of kindness for children as well as adults! Let them see you writing fun little notes for them and their classmates. Let them see you leave a treat for the teacher next door. Let them see you bring flowers to the nurse for Nurse's Day. Let them see you go out of your way to tidy up to make things easier for the custodians. Bring the whole class to the Library to sing Happy Birthday on the librarian's birthday. I'm sure you can think of more examples of showing kindness, and I'm sure your students can think of plenty more! When problems occur in the classroom, which we know happen often, be sure to address the group with the question, "How can we solve this problem with kindness?" 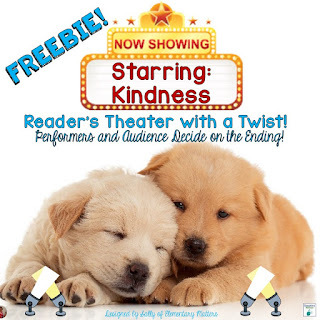 To help you out, I've got a Reader's Theater freebie that does exactly that! It's a little play for 4 people with a problem children can relate to. Here's the twist: after a discussion on how to solve the problem with kindness, the performers get to make up the ending! One last thought: my singing group sang this song years ago, and it helps me deal with many difficult situations. Although this isn't my singing group, the song is just as beautiful.